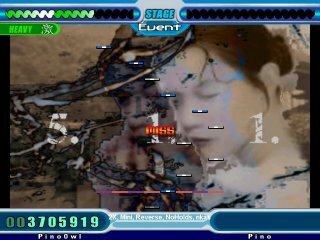 This noteskin is designed to look vaguely like that of Beatmania IIDX. Use this noteskin to play dance-double on the StepMania simulator, or just to make Arch0wl's simfiles look like the IVKAS they are. Put the .bms files and the .mp3/.ogg file in the same folder. In Notepad, edit the .sm file such that the imported IIDX steps are for dance-double. 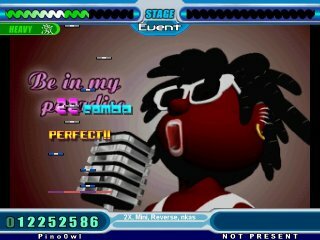 In StepMania's editor, open the dance-single steps, and Reload from Disk. Close the single steps and open the double steps. Select all (Home Space End Space), and shift the steps to the right. Known bugs: Freezes don't work. The noteskin and the accompanying documentation are licensed under a Creative Commons License.